If you’re feeling down in the dumps already this year you’re not alone. Christmas is a distant memory, the weather is cold and grey and the chances are you’ve abandoned your healthy New Year resolutions. In fact, the only thing likely to be lower than your mood is your bank balance. The UK may be home to some of the wildest stretches of white water in the world, but white water rafting isn’t just confined to natural stretches of white water. 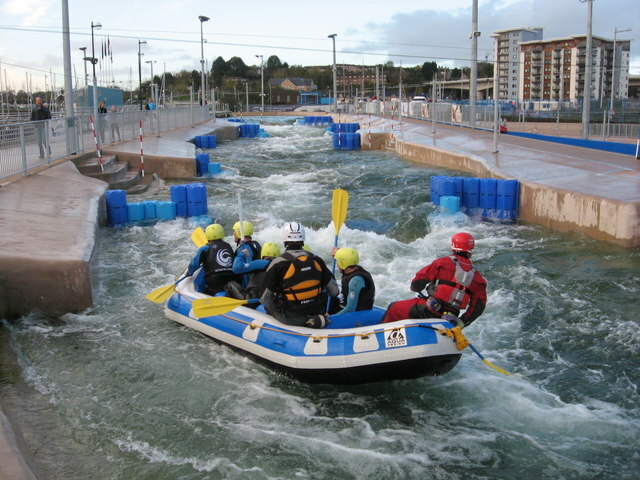 Man-made centres which are used for the Olympics are tailor-made for rafting too, and unlike natural stretches of white water conditions out on the water is much more consistent. Stretches of white water are graded by how difficult they are to negotiate. The International Scale of River Difficulty is graded from 1-6 with class 1 white water being the easiest to pass, and class 6 white water being almost impassable. 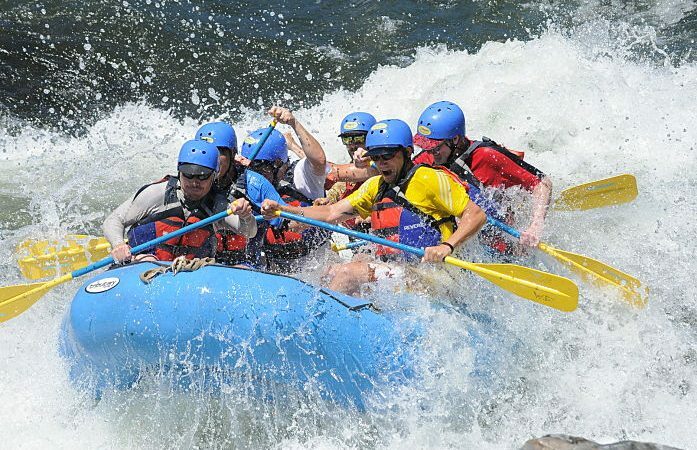 Unless you’re an experienced rafter, you’ll mainly be taking on white water graded between 1-3 as this guarantees you plenty of fun without the risk of injury. 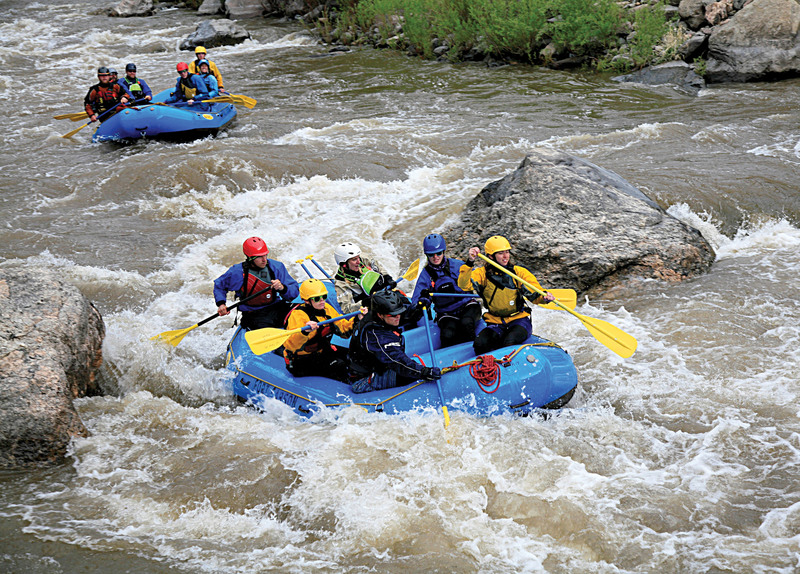 If you’re taking on a natural stretch of white water, it’s not just rapids you’ll need to negotiate. You’ll also have to dodge the danger of rocks, branches and river banks too. It’s not all bad news though, because with our instructors skippering the raft you’ll know exactly what’s coming your way and what you need to do to make it down the river in one piece. 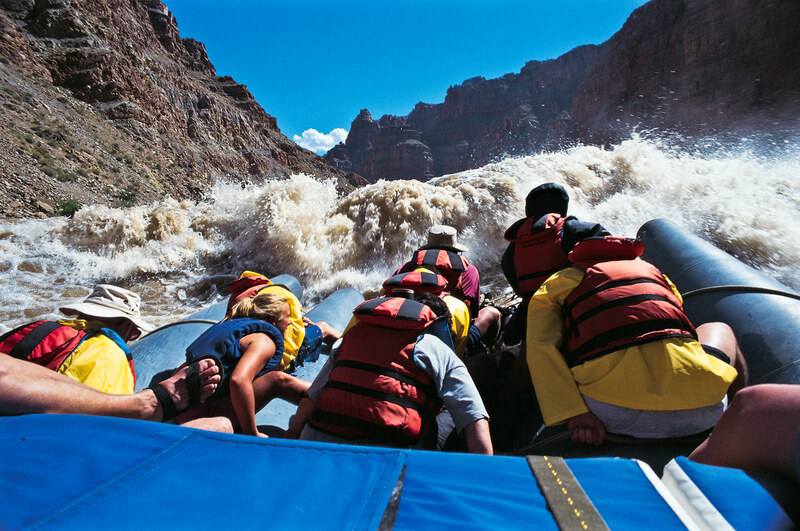 Part of the fun of white water rafting is getting a good soaking, and even if you manage to stay in the raft you’re going to get wet at some point. All of our venues provide wetsuits, helmets and life jackets, so when you inevitably get a soaking, there’s no need to worry about ruining your clothes. It’s probably for the best you bring a towel and some dry clothes to change into though! So, what are you waiting for? 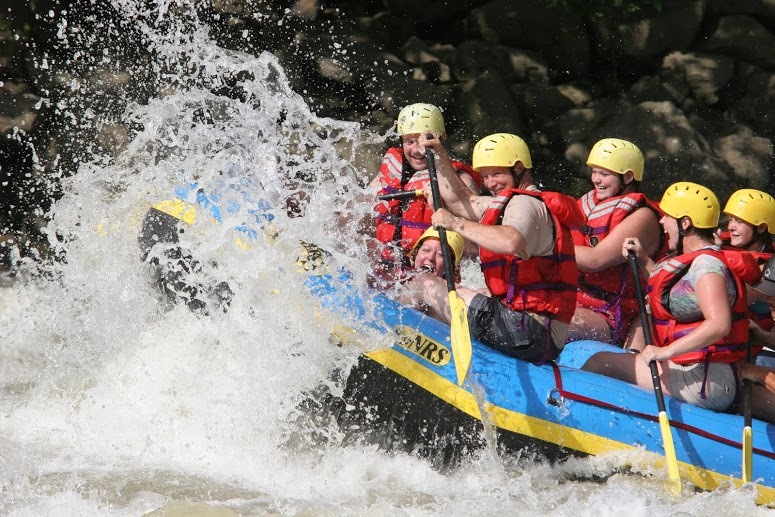 Why not find out first hand just how much fun white water rafting is!